From the land to the sea to the sky, the Resistance take flight to the city of Blackout. This is the third book in the series, so If you haven't read the previous two novels, I suggest you get them. This and has all the suspense and drama as the previous two and reveals more about Jacob and Whistler. The ending had me gobsmacked! 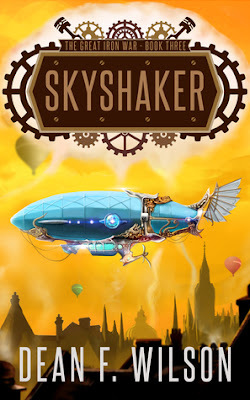 As always, I would recommend any of Dean's work to lovers of Steampunk.